This firmly spun and plied wool is long-wearing, and excellent for Bavarian Twisted Stitch, Norwegian sweaters, Aran Sweaters, socks, caps, and mittens. 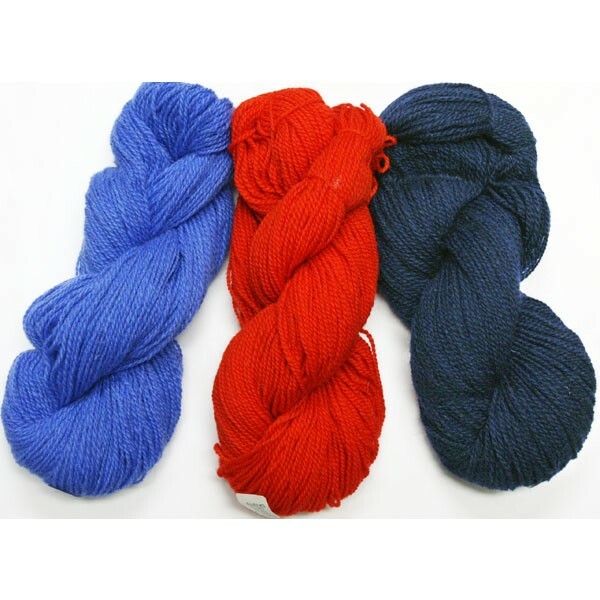 Material: 100% Wool Weight: 3.5 oz. skein Yardage: 210 yds. Approx. Gauge: 5 to 6 sts to 1 inch. Price: $6 Choose the quantity for each color you wish to order and click Add to Cart at the bottom of the page.